Oh Summer! You give us only 4 months to get a bronzy glow to match all the bright bold colors we what to wear these months. That’s okay…I’ll enjoy it & make the absolute best of it! Summer has just started and I’m loving the bright, bold, prints in the stores this year. I’ve been pinning like crazy! you can follow me on Pinterest! 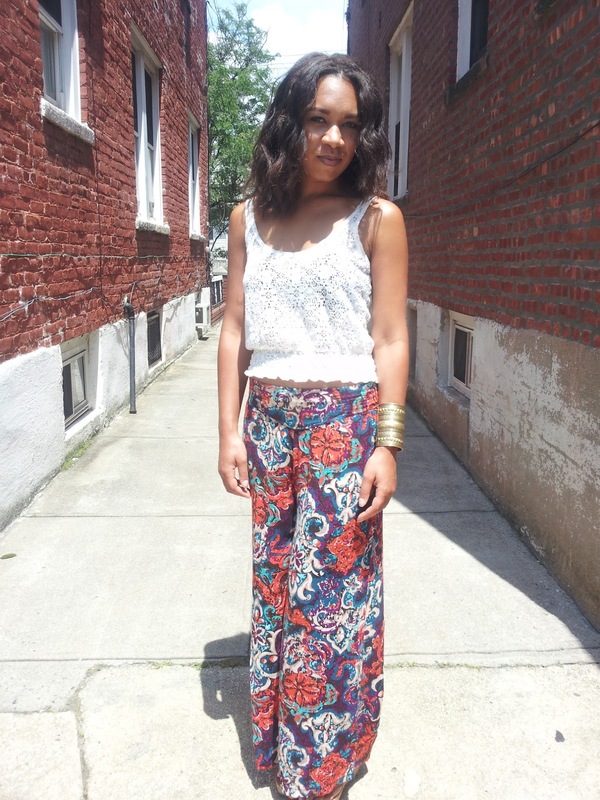 These are 3 looks I found in my closet that best describe summer ’13 and this trend. Pink Aztec Pattern Shorts– I love these shorts! Made in a light rayon material to wear in this hot...did I say HOT?! weather. 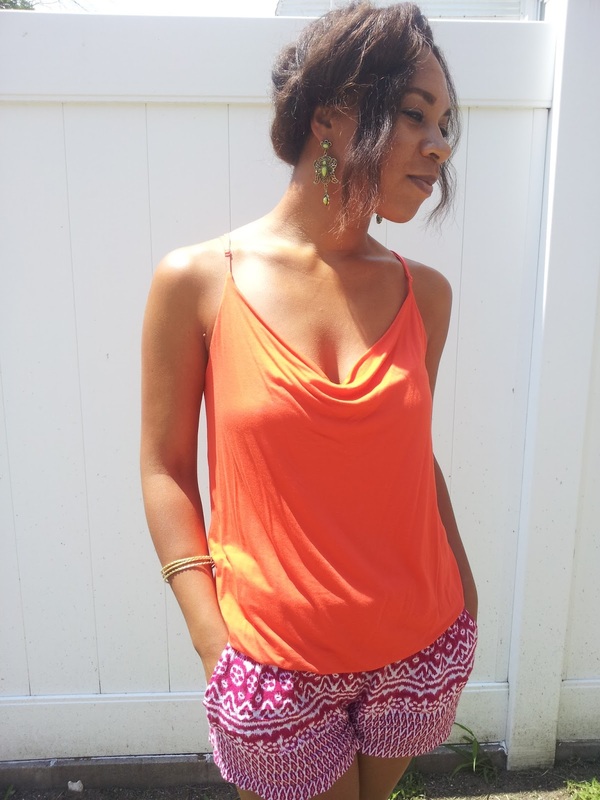 I paired these shorts with a orange tank and a pop of yellow with the earrings to play off the analogous color scheme from the color wheel. Huh?…Anglogous colors? Colors that sit next to each other on the color wheel. As you can see in this outfit I used yellow, orange and pink. Palazzo Pants & Lace Tank– My go to look for running errands, lounging around the house and simply just hanging out on a sunny summer day. Summer is all about the pedicure!